Bratislava is blessed with amazing bars and clubs. Craving 90s-eque cocktails with views of the city? We got that. Only spending the afternoon here and want to experience the authentic pub scene? Got you covered. Dive bar? You know it. 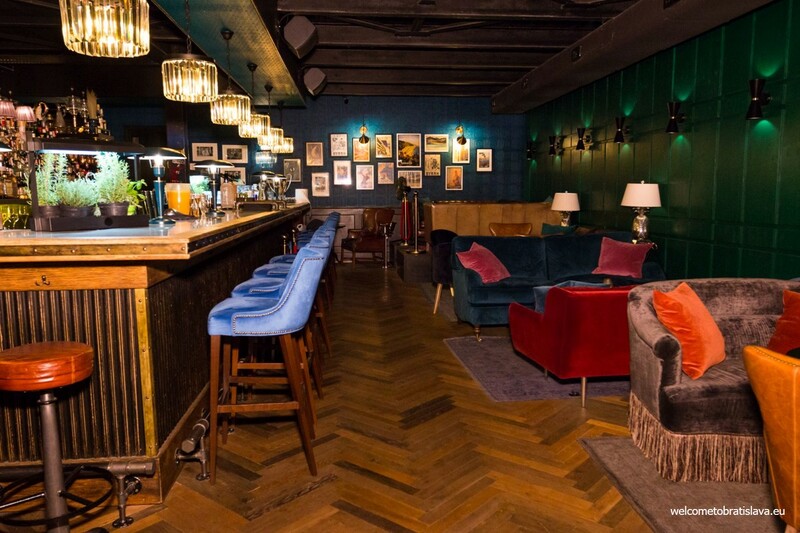 Roaring 20s, speakeasy, classic cocktails in a lush setting your vibe? Welcome to Old Fashioned! 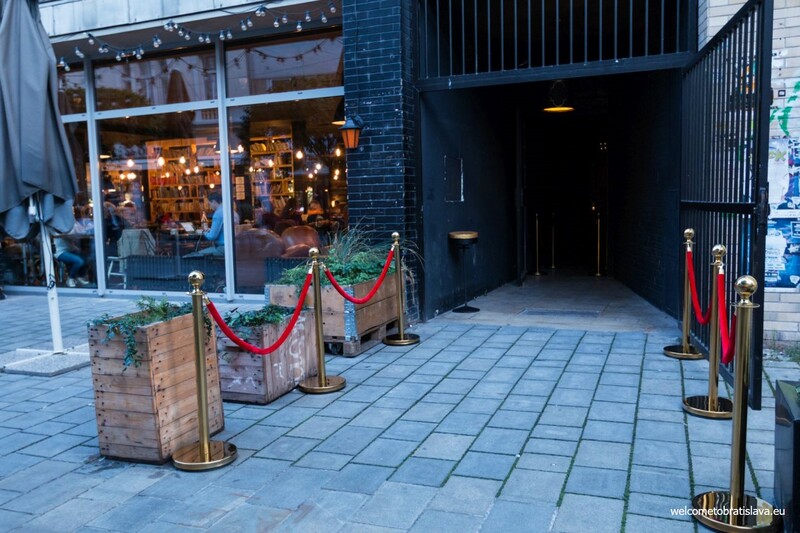 Adjacent to city-favorite Urban House is the stealth entrance to the Old Fashioned Bar. Strolling up and down Laurinska it’s easy to miss the industrial gate and darkened corridor that leads to OF’s official entrance atop of several staircases. For us this adds to the allure and sets the mood for a speakeasy themed night. Those feeling less adventurous can rely on the classic red velvet stanchions to guide them. On your way up, take note of the ultra racy artwork on display. It’s captivatingly naughty. At the top of the stairs and behind an unassuming door is the grand entrance. 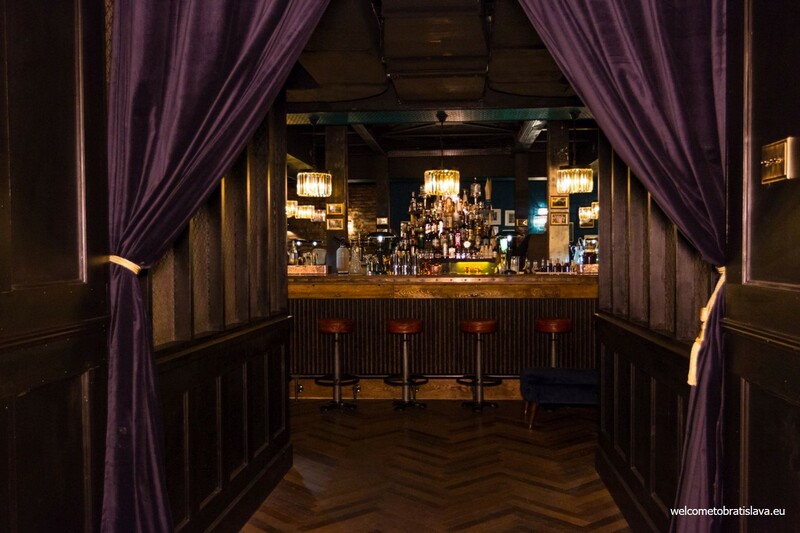 Make your way past the coat check (and avoid wandering into the kitchen on your left) to find an elegant wrap-around bar festooned with cornflower blue velvet chairs (yes, more velvet), art deco chandeliers, and mahogany leather smoking chairs. 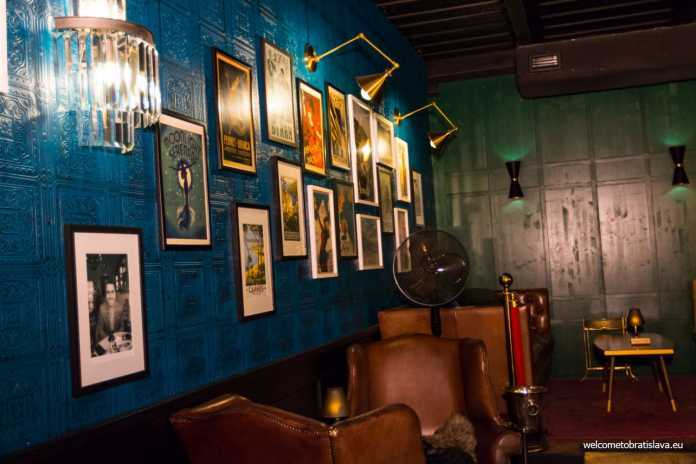 Even if the idea of a secret bar refers to the prohibition era of the 20’s, the interior is themed into ‘60s and ‘70s style lounge. Not plush enough for you? 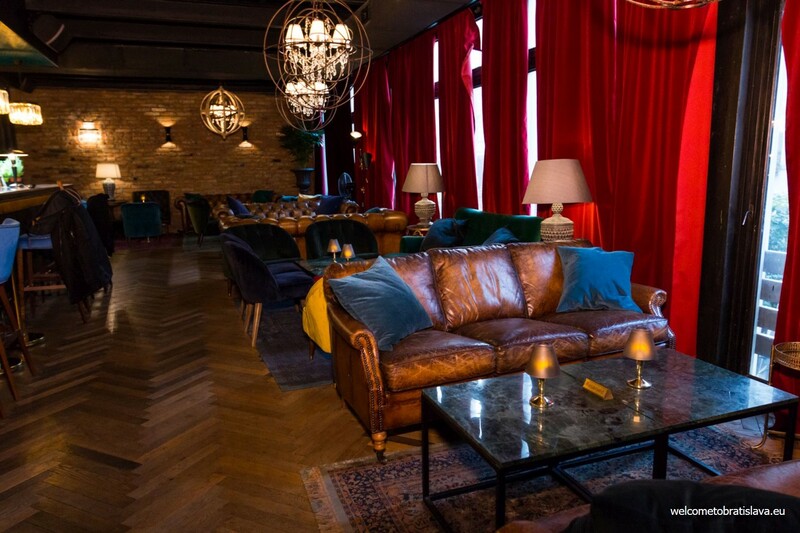 The floor itself is divided into mini-living rooms where velutinous throw-pillows adorn tan chesterfield sofas; the walls are tinted verdigris green, peacock blue or overlaid with exposed brick; and the herringbone wood floor and oriental rugs prepare even your feet to feel fancy. A few important notes here: Stairs, stairs, stairs! Please be aware of this for those needing a ramp or elevator. And once inside you may be chased down by a lovely host asking for your reservation. You don’t need one, but on busier nights there’s a chance you won’t get your first pick of seating. That’s okay – the bar has some of the best views in the house. 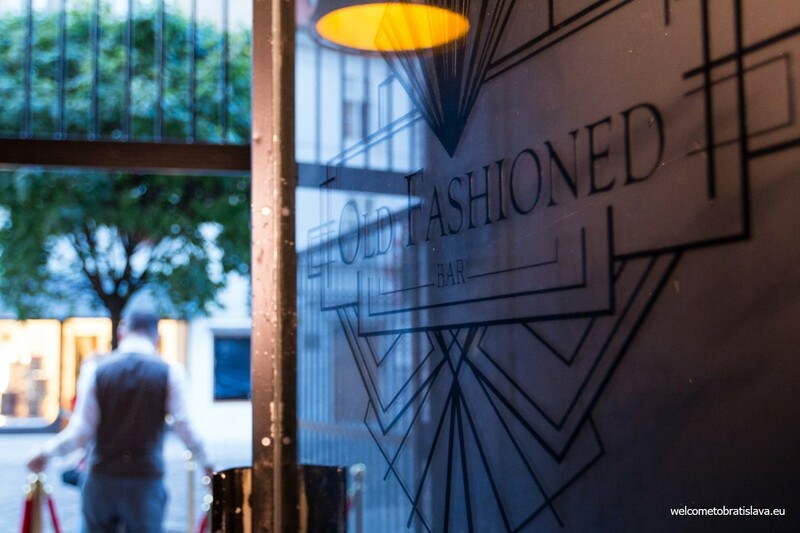 WHY IS OLD FASHIONED BAR SPECIAL? Speaking of the bar, as cocktails change regularly here, we won’t go into drink specifics. 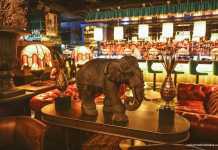 Just know that with nearly a hundred different spirits to choose from and an extensive specialty menu at hand you will find something you love. Or at least love to watch get made. Like we said, the bar top is our favorite vantage point – primarily to observe the barkeeps at work. 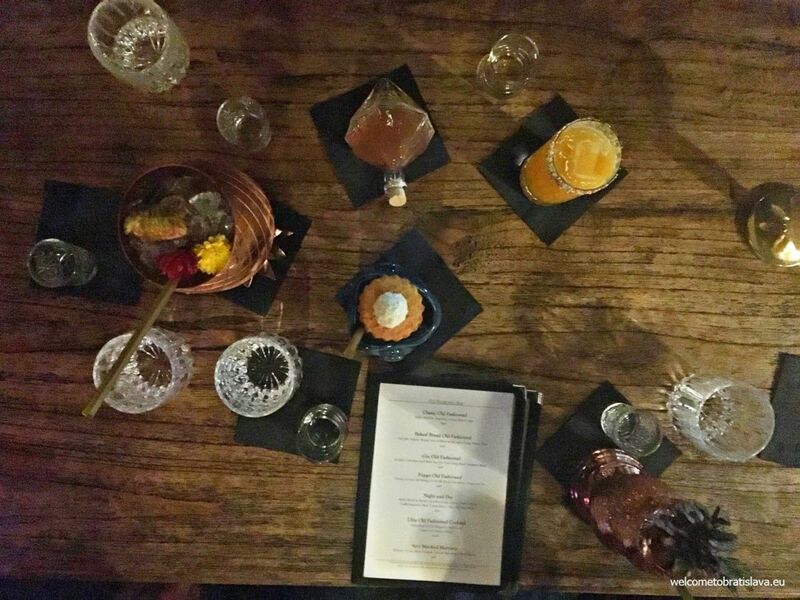 The unique cocktails at OF take a little longer to create than your standard 1:2 ratio highball (rum and coke, anyone? ), but watching their creation is part of the experience here. It’s common to see a drink being torched, the ultra chichi way to caramelize that fruit garnish. Fresh herbs, edible flowers, TOAST! : nearly anything goes when it comes to libation adornment. 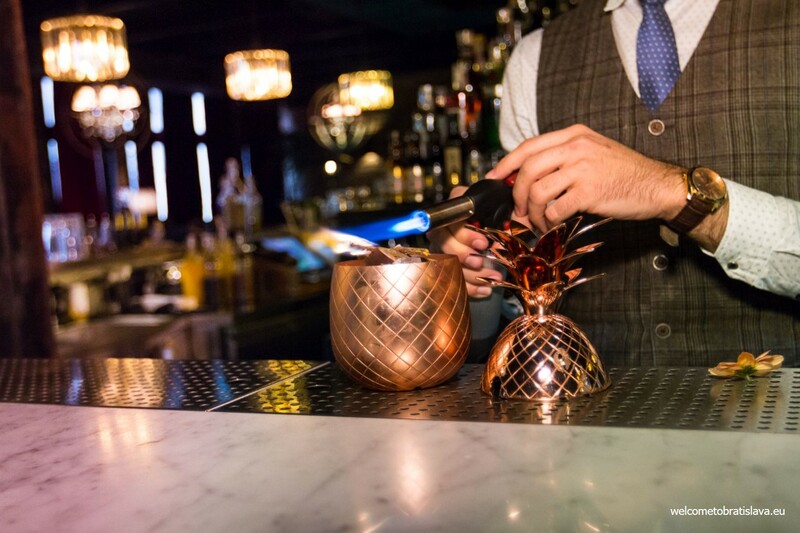 And each drink is served in an exclusive vessel ranging from delicate crystal coops to porcelain slippers to giant copper pineapples. The people-watching here is a lively activity, too. Dressed-up college kids and Carrie Bradshaw enthusiasts mingle with Foreign Embassy types and adorable staff members. Who cares if no one has anything in common: everyone looks delightful and nothing can be heard over the blaring jazz and classic rock. Of course, all this posh comes at a price. A drink or two here won’t deplete your savings, but if you are on a budget or making this just one of many stops that night, bring at least a dvacka for drinks plus tip per person (that’s a 20-spot for you non-locals). To be fair, we have to add that after multiple visits to the Old Fashioned, we are very disappointed with the customer service, almost on the verge of arrogance. Such thing makes a difference between a great place and only a good one. While we adore its concept and amazing drinks, it sadly lost our trust as a love brand. OF is a definite when craving a decadent bar experience and we encourage you to indulge here at least once.